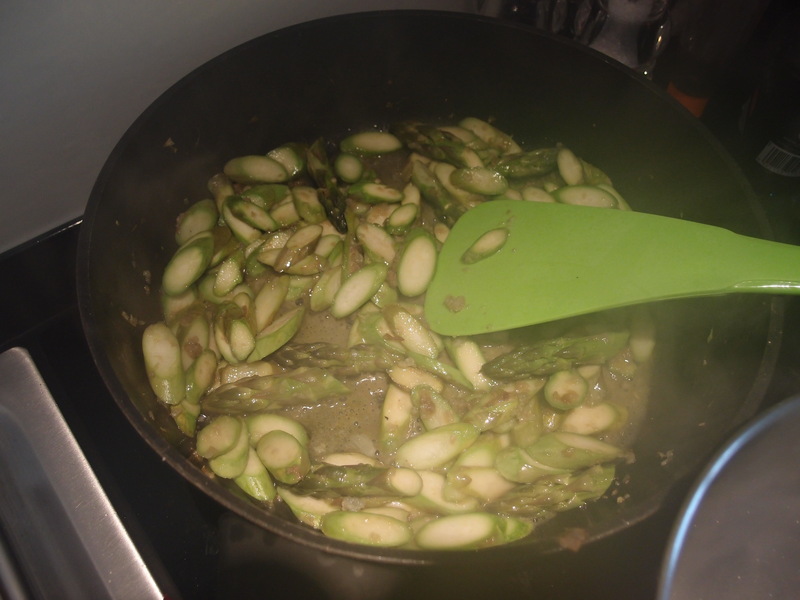 I love green asparagus and it is finally season. 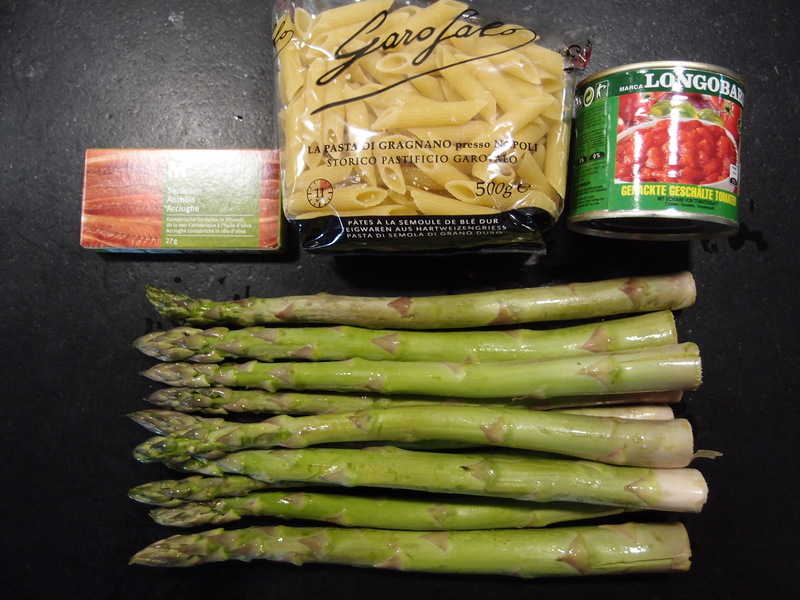 Today Penne with green asparagus. 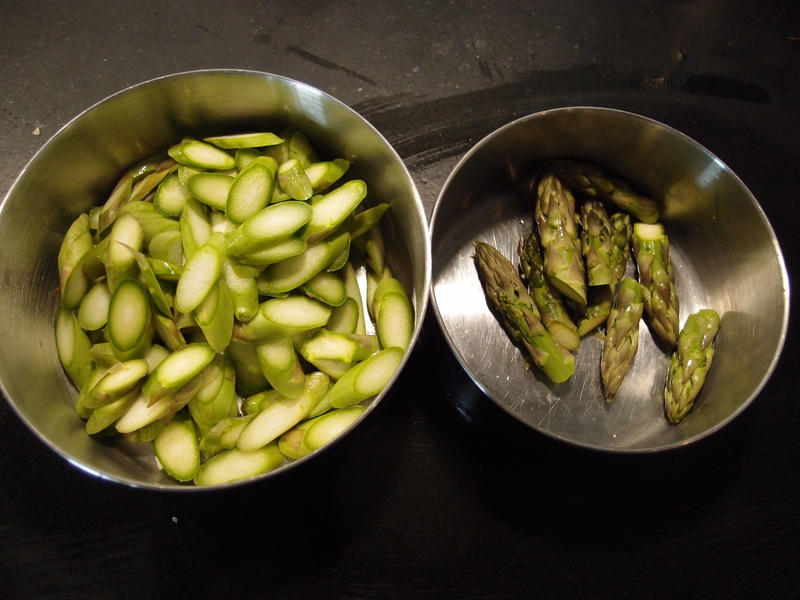 Prepare the asparagus. Cut the tips and then cut the rest in slices. Put a pan with oil on the fire. Fry the chopped or pressed garlic till gold. Add the anchovies. 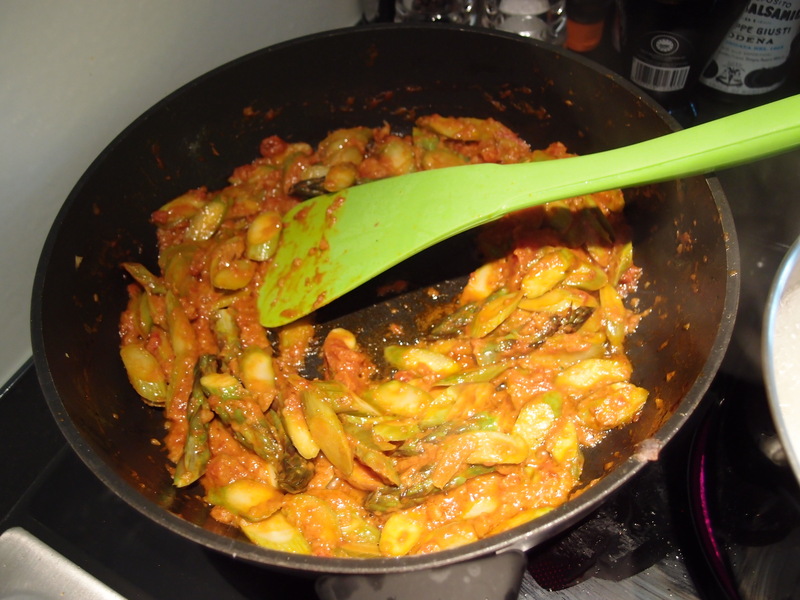 Add the slices of Asparagus and let cook for some minutes. I added pepper, salt and some vegetable stock for some taste. Then add the tips for a couple of minutes before adding the tomatoes. Let simmer for some minutes before adding the cream. In the meanwhile cook the penne in boiling water ( in my case 11 minutes). 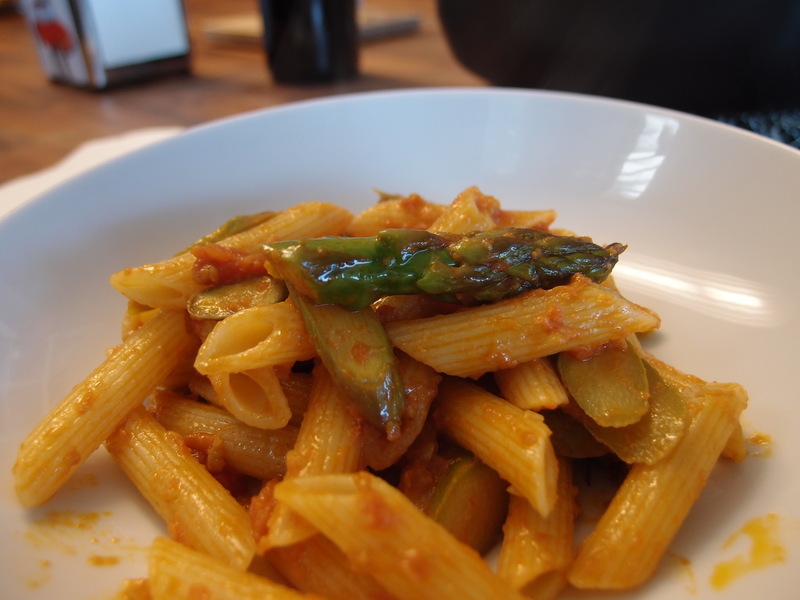 Add the penne to the sauce and ready to serve with some parmesan or grana.